Nalin De Silva is a Los Angeles-based artist. 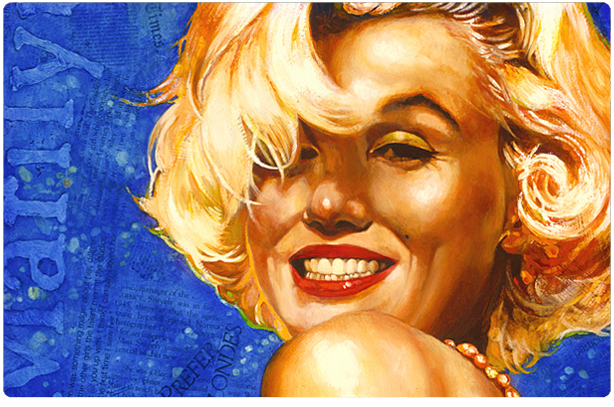 This vibrant portrait of Marilyn was inspired by Bert Stern’s photography. In this summer release, written and directed by Offer ‘Vince’ Shlomi (better known to US readers as ‘the ShamWow guy’), Lindsay Lohan recreates the famous ‘subway scene’ from The Seven Year Itch, as a skit, but with a difference – this time, ‘The Girl’ pulls a gun on the paparazzi. I think this ‘revenge fantasy’ is most likely a spoof on the paparazzi, not Marilyn herself – but please be warned – as the trailer indicates, Underground Comedy Movie 2010 is peppered with violence, sexual innuendo, and profanity. 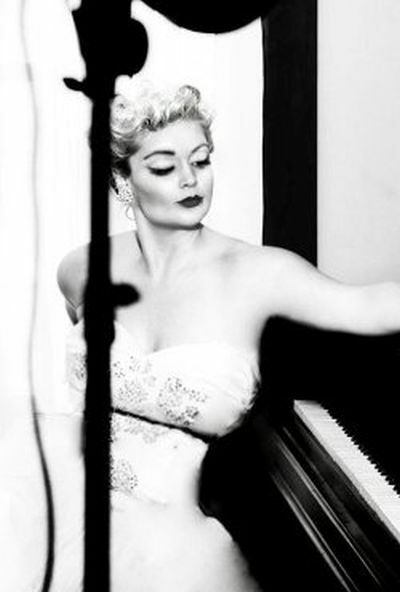 George Axelrod’s original play, The Seven Year Itch, is being revived at the New Village Arts Theater in Carlsbad, California (near San Diego), from today, July 29th, through August 22nd. Marilyn’s screen time in the final Marx Brothers movie, made in 1949, adds up to less than a minute – but she certainly made the most of it! Funding was withdrawn before shooting ended, hence a very long rooftop chase scene where the actors pass countless neon advertising signs. Despite only having a walk-on role, Marilyn was chosen to promote the film and flew to New York City – probably for the first time – in July. It’s rather an odd film but well worth seeing if you’re a diehard Marx or Monroe fan. Available on DVD, and showing this Sunday, August 1, at 6pm, and again on Tuesday, August 3rd, at 6pm, at the Bio Orion in Helsinki. Paul Giamatti will star in a new HBO movie, to be produced by Tom Hanks, about Soviet President Nikita Khrushchev’s trip to the US in 1959. Based on a 2009 book by Peter Carlson, K Blows Top is named after a New York Daily News headline, penned after the premier’s desired visit to Disneyland was unceremoniously cancelled. Khrushchev may not have met Mickey Mouse, but he did go to Hollywood and was introduced to Marilyn Monroe at a star-studded luncheon at Twentieth Century Fox. Which has to be an improvement, don’t you think? “The lunch over, Skouras led his new friend toward the soundstage where Can-Can was being filmed, stopping to greet various celebrities along the way. 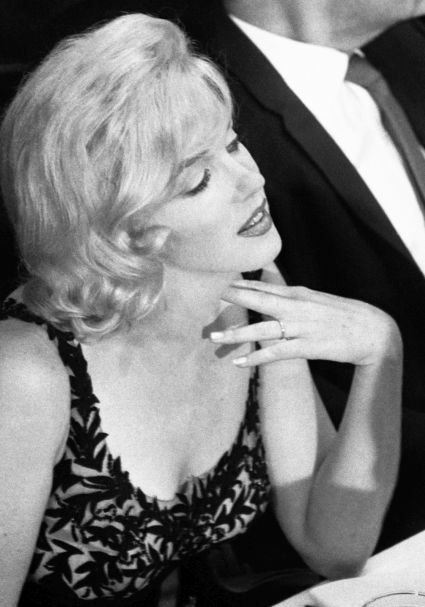 When Skouras spotted Marilyn Monroe in the crowd, he hastened to introduce her to the premier, who’d seen a huge close-up of her face—a clip from Some Like It Hot—in a film about American life at an American exhibition in Moscow. Now, Khrushchev shook her hand and looked her over. 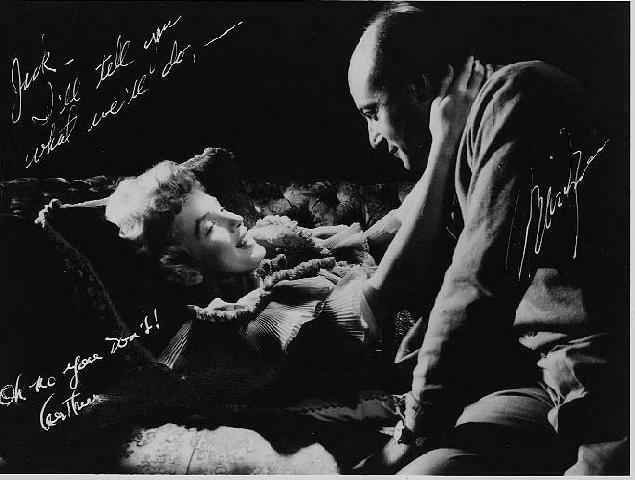 ‘You’re a very lovely young lady,’ he said, smiling. Later, she would reveal what it was like to be eyeballed by the dictator: ‘He looked at me the way a man looks on a woman.’ At the time, she reacted to his stare by casually informing him that she was married. Cameraman: The Life and Works of Jack Cardiff is a new documentary about the Englishman who became Marilyn’s favourite cinematographer after they collaborated on The Prince and the Showgirl in 1956. Cardiff went on to direct his own movies. Had he directed Marilyn instead of Olivier (with whom she famously clashed), filming of Showgirl might have been a very different experience. 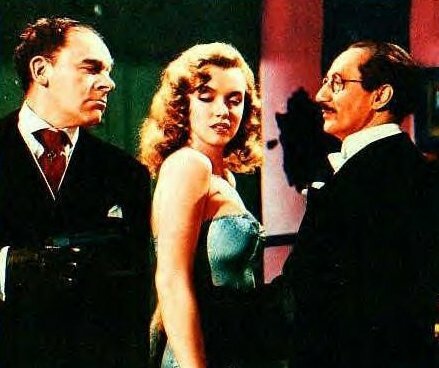 Nonetheless, Marilyn did some of her finest acting in this gentle period comedy, and she never looked lovelier. A more spiritual perspective on Marilyn’s last home, currently up for sale, from feng shui expert Dana Claudat. “Is it little coincidence that this house appears to be missing vital areas of the bagua? The fastest way I can explain the bagua is to say that in feng shui, certain areas of a home can be placed within a geometric grid that encompasses every area of existence — physically, spiritually, emotionally and even monetarily, assigning certain significance to every area. When areas are ‘missing’ it is not the end of the world, but it certainly raises eyebrows that such a coincidence has occurred. Though I can’t see a complete floor plan, it seems that the ‘Self’ and ‘Wisdom’ areas are absent totally from the floor plan of the property. I must admit to having mixed feelings about this property. 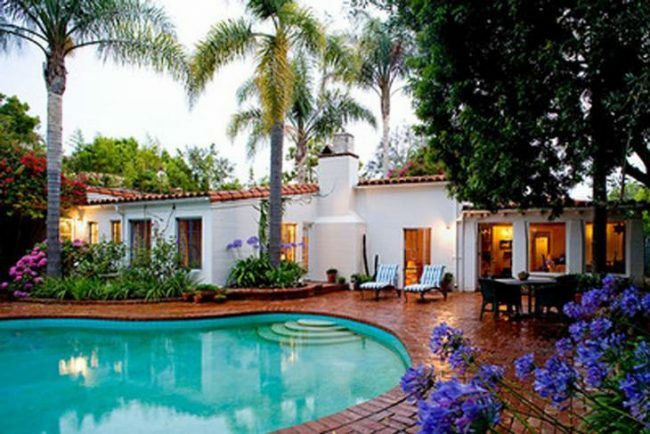 While it is a beautiful house, where Marilyn once lived, it is also the place where her life ended. Whoever finally buys it will have to accept that it will always carry these associations with MM, and it inspires a sometimes morbid curiosity in people. The house is located in a tiny cul-de-sac in Brentwood, a quiet, upmarket residential suburb of Los Angeles. Some of its more recent occupants and neighbours have not been happy about the constant visits by sightseers, and I can understand that. However, public interest shows no sign of waning. Ideally I would like to see this house restored to its 1962 form as a national heritage site, in the way that John Lennon’s childhood home in Liverpool, UK is now maintained. But while Monroe is fast becoming one of America’s greatest icons, historians have been slow to recognise this. The endless auctions of recent years, where Marilyn’s personal property has been dispersed among private collectors, are a similar example of opportunities squandered. And with no surviving relatives to protect Marilyn’s legacy, I can’t see a sea-change occurring anytime soon. In death, as in life, Monroe seems to be alone and unprotected. This is an interesting take on how Marilyn’s character was formed, though given her unstable childhood, it is hard to place her as a ‘lastborn’ at any period. Norma Jeane had an older half-brother and sister from her mother’s first marriage, but she never met her step-brother, who tragically died at just 13. At the same age, Norma would learn that she had a ‘sister’, and first met Berniece Baker Miracle, then married with a young daughter, six years later. 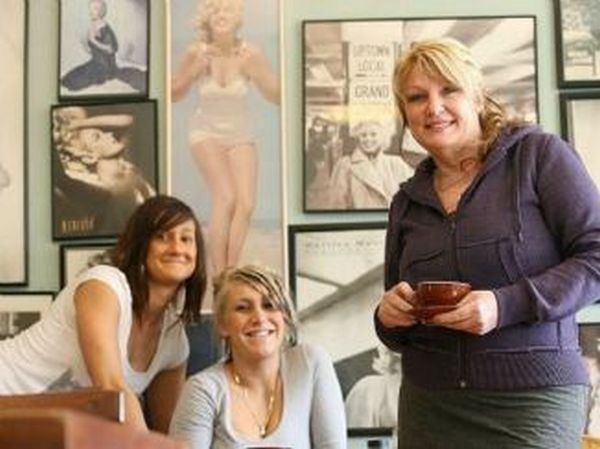 Marilyn remained in contact with Berniece throughout her life. 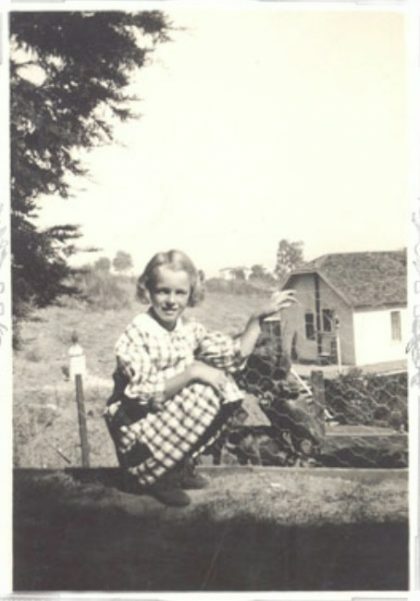 The young Norma Jeane was also close to another foster child, Lester Bolender, and later Eleanor ‘Bebe’ Goddard. But Marilyn always considered herself a ‘waif’, passed between relatives, friends and an orphanage, and in some ways was more like an only child. One of her closest friends at the end of her life was masseur Ralph Roberts, whom she nicknamed ‘Brother’.